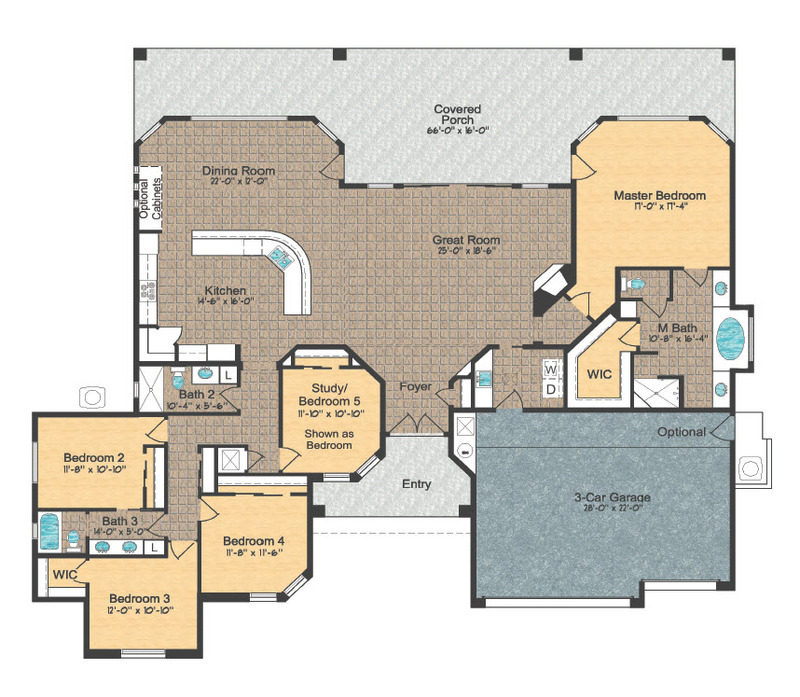 This spacious split floor plan offers 4 bedrooms, study/5th bedroom option, and 2 3/4 baths with open kitchen/great room concept. A sweeping covered patio is perfect for star-gazing! A multitude of standard features include Maple or Oak raised panel cabinets with 42" uppers and crown molding, fireplace, granite countertops and picture framed mirrors in all baths, front yard landscaping, walled-in back yard, and finished 3-car garage, just to name a few!